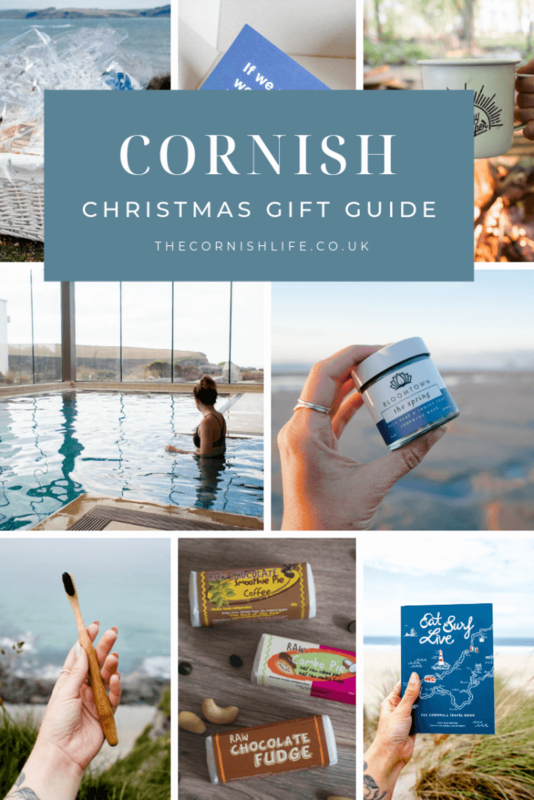 The best gift ideas from local Cornish brands and businesses in 2018. Okay, so I’m officially starting to get excited about Christmas! 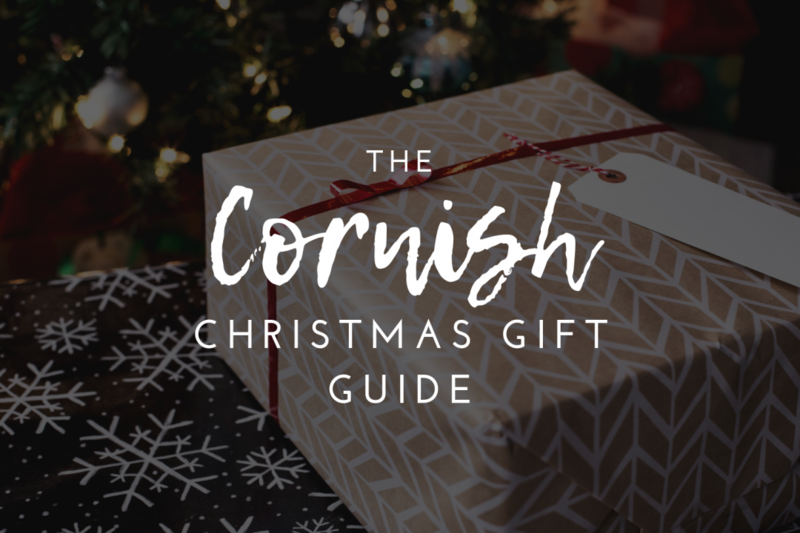 Each year, I put together a gift guide of Christmas gifts for Cornwall lovers and people who want to support our county’s wonderful small and independent Cornish brands. These gift ideas are all things I have personally tried and tested, and LOVED, myself – it’s not just another round up list put together from internet research. These are all Cornish brands and businesses I have had the opportunity to work with or pay for myself and therefore I’m super excited to be recommending them! 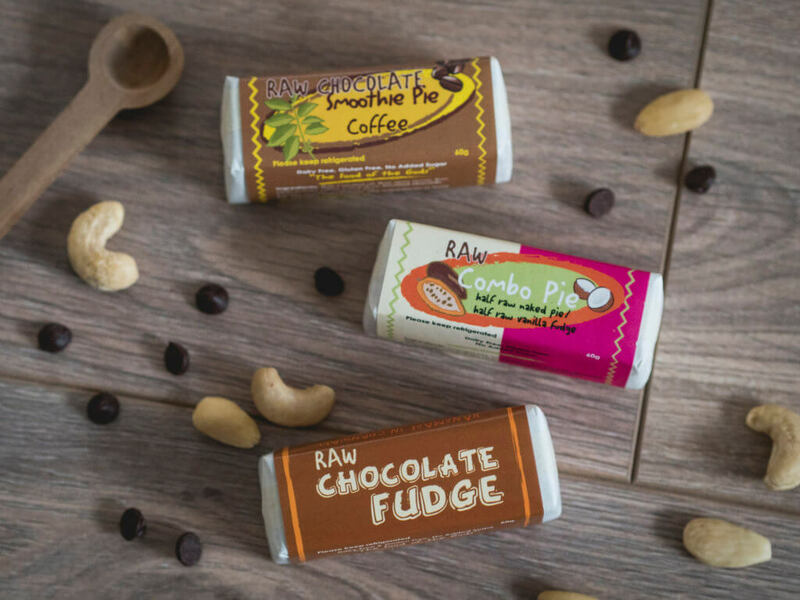 If you’ve ever been into the Raw Chocolate Pie Company shop in St. Ives, you’ll know how amazing their natural raw chocolate bars are. They’re vegan, dairy free, gluten free, soya free, refined sugar free, organic, fair trade, and DELICIOUS! They have tonnes of flavours to choose from and even fudge bars too. You can buy them online or from their store. View the Raw Chocolate Pie Company website. You may have seen my review of Riviera West Country Hampers last week; this has definitely been my favourite gift hamper I’ve tried so far (I’ve tried a fair few! ), as it’s inspired by the South West and contains all Cornish produce. 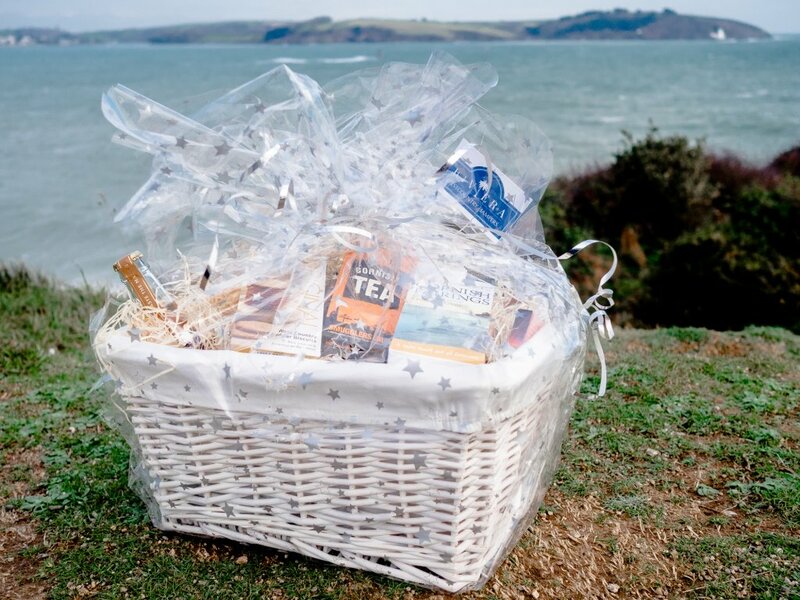 The hampers are even named after special Cornish places too. View the Riviera West Country Hampers website. 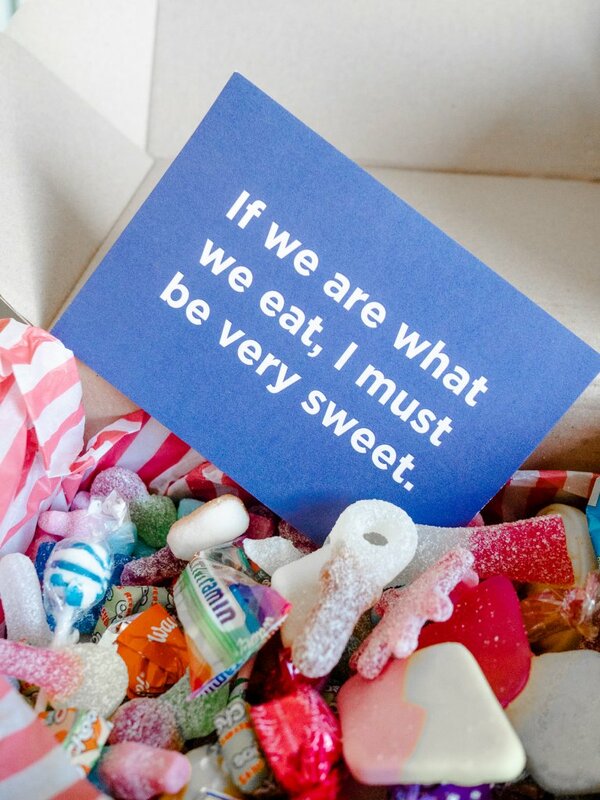 I’m SO in love with this brand and their amazing pick n’ mix candy boxes! All the sweets are 100% vegan, containing over 30 varieties of your favourite candies. They also strive to be as eco-friendly as possible, with almost no plastic packaging whatsoever (except from a few of the lolly and branded candy wrappers, but they’re working to find more alternatives!). View the Conscious Candy Co website. 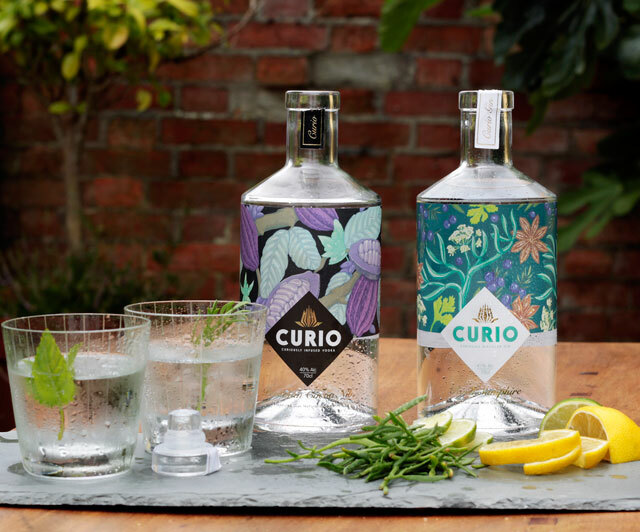 Created in their Cornish distillery on the Lizard, I first fell in love with Curio gin because of their beautiful bottle designs and branding! I am partial to good gin and tonic, and I think their bottles would make a fantastic gift for any gin enthusiast! They also do vodka too! 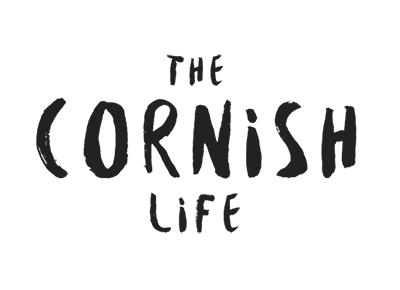 View the Curio Spirits website. 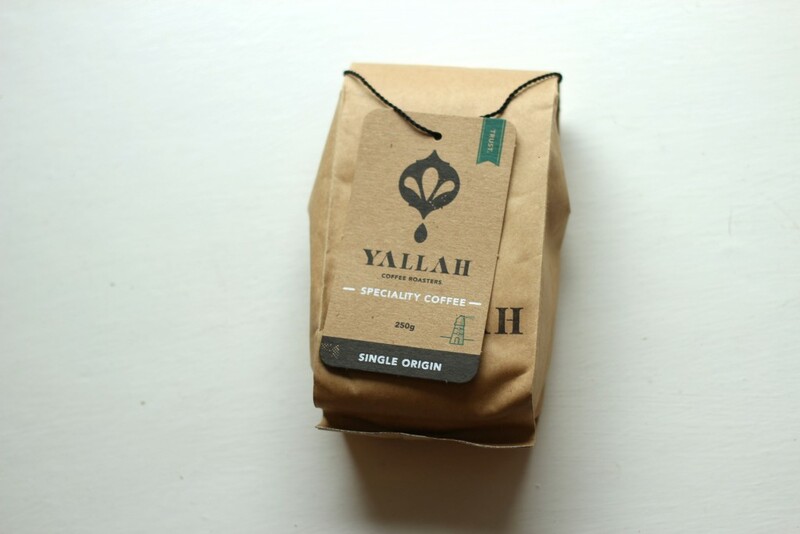 If you have any coffee lovers on your list to buy for, I’d highly recommend checking out Yallah Coffee! Based in Falmouth, their blends are super tasty and beautifully packaged. You can buy individual packs, their special Christmas Gift Set with a few options to try, or give the gift of a ‘coffee subscription’ for 6 months! They’ve also just released a decadent drinking chocolate with Chocolarder as well. View the Yallah Coffee website. 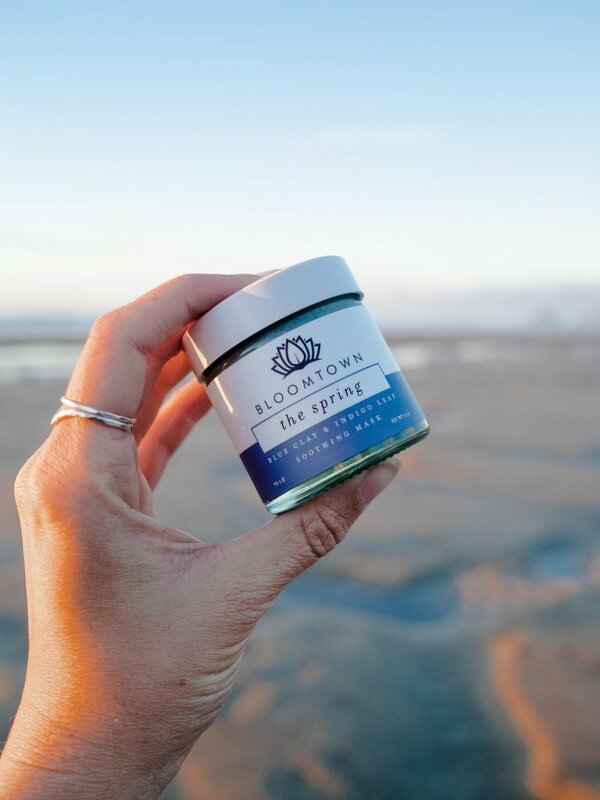 With soaps, lip balms, sugar scrubs, hand & body wash, face masks, body oils and more, Bloomtown is now my go-to for any beauty or skincare related gift (and for treats for myself, of course!). Their products are all vegan, cruelty-free and palm oil free, and they’re based here near Falmouth too! 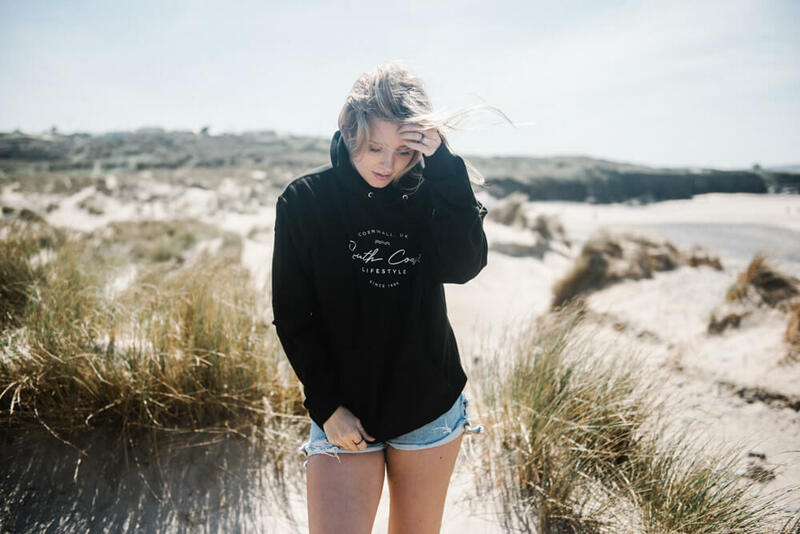 This is a little plug for my own clothing brand, South Coast Lifestyle! I did a soft launch for this earlier in the year but have more plans to grow and improve this once I have more time. However, if you have a friend who appreciates hipster surf vibes and loves the coastal life, why not grab a t-shirt as a gift or stocking filler! View the South Coast Lifestyle website. Based in Newquay, Bahasa is a fantastic little business focusing on sustainability! 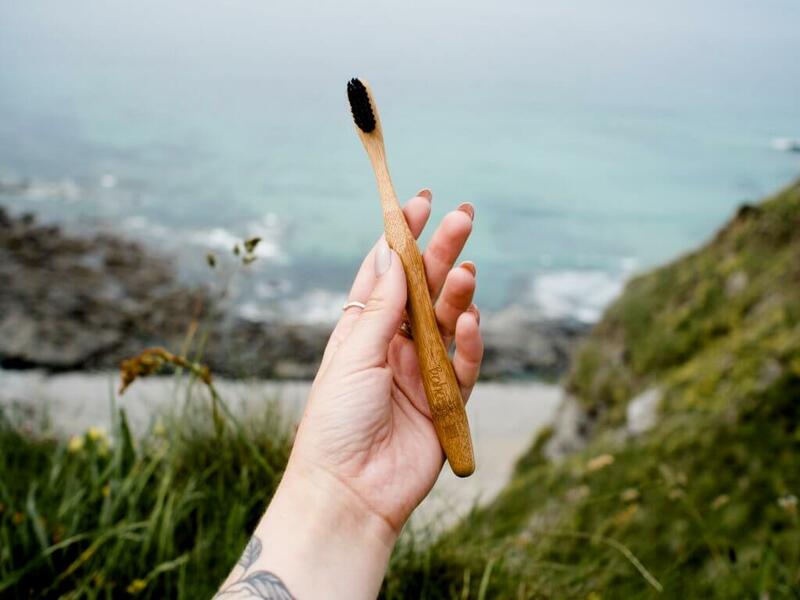 Their uniquely designed range of bamboo toothbrushes would make fantastic stocking fillers for your environmentally conscious friends. They are totally plastic free and really high quality too. 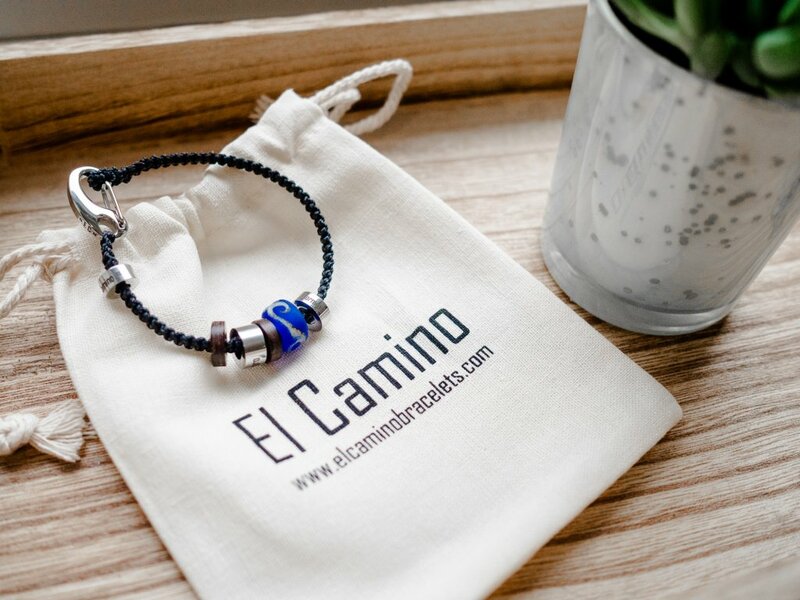 I love this gift idea for travel lovers from a company in Newquay called El Camino! You start with a handmade cord bracelet, and add on your own customisable beads and steps that relate to your travel stories. There are stainless steel ‘country steps’ or ‘small steps’ to choose from (I have a ‘Cornwall’ step, and a ‘Montenegro’ step – my two favourite places in the world, so far! ), as well as glass coloured region steps or beautiful ‘ocean’ steps (I have the ‘Atlantic ocean step’, of course). With each step you buy, you also get some coconut spacer beads too. Such a great concept for a gift that will remind your loved one of all their favourite places! View the El Camino website. 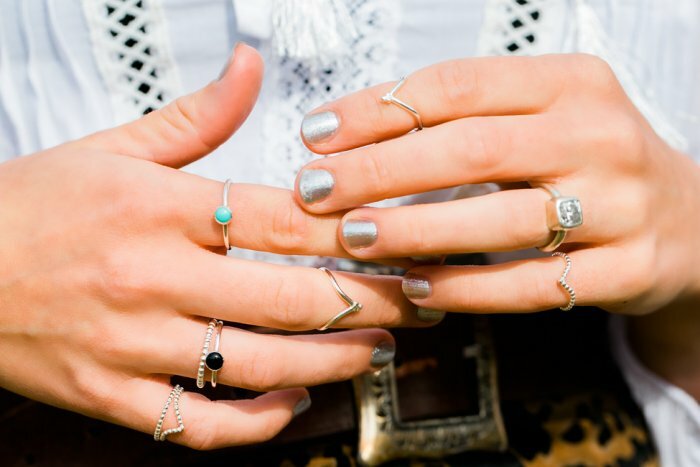 I’ve always been a huge fan of Tegen Jewellery ever since seeing their photoshoots, and many of my friends wear her beautiful rings too! I’ve bought a couple for myself and absolutely love them, but I think any of her bohemian style jewellery (from necklaces to bracelets) would make fantastic gifts. View the Tegen Jewellery website. 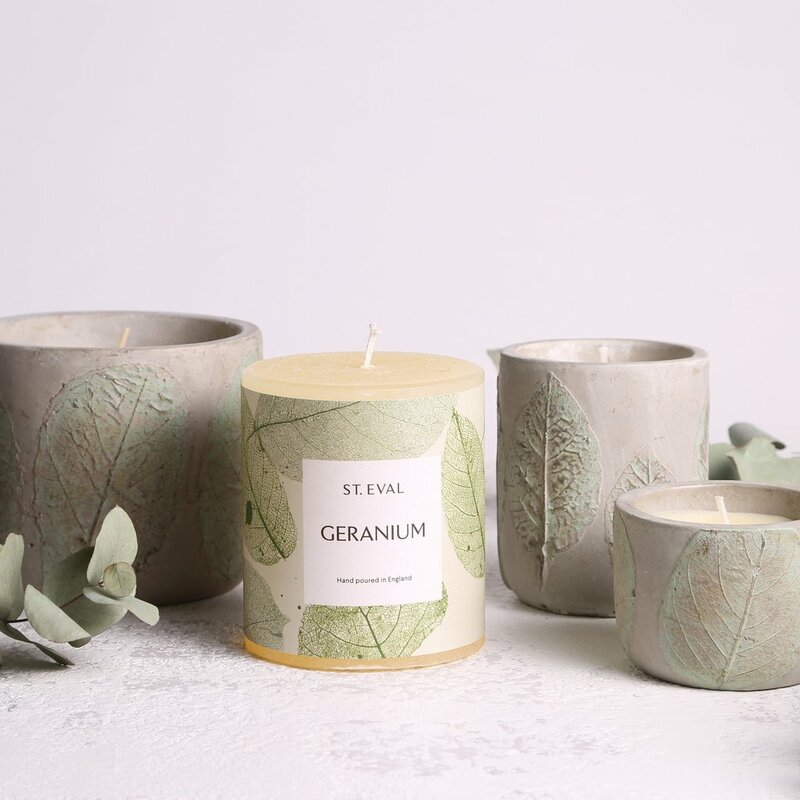 I’ve had a few St. Eval candles as gifts before and I’m always amazed at how strong their scents are, and they come in such beautiful jars and pottery! Based in North Cornwall, this brand has some delicious Christmas scents out at the moment too. And who doesn’t love a candle as a gift?? View the St Eval website. I absolutely love Ebb + Flow’s selection of beautiful Hammam towels; I have the Hendra one (grey and white, obviously!) and I’m always bringing it places with me. It acts as a picnic rug, scarf, blanket, towel AND a super pretty photo prop too. I washed mine recently and plan on keeping it indoors through Winter as more of a ‘decor’ towel in the house. View the Ebb + Flow website. 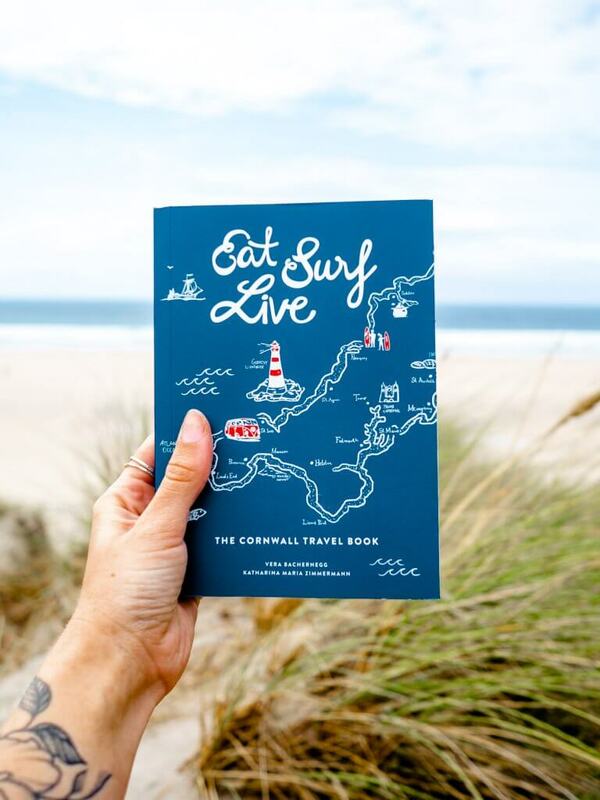 I absolutely love this little Cornish guidebook! It’s so quirky and unique, with a mish mash of recommendations, journal entries, beautiful photography, poetry and even traditional Cornish recipes. I’d highly recommend this as a stocking filler! We all have that one person in our lives who is weirdly fanatical about coffee, right? Well, this one is for them! 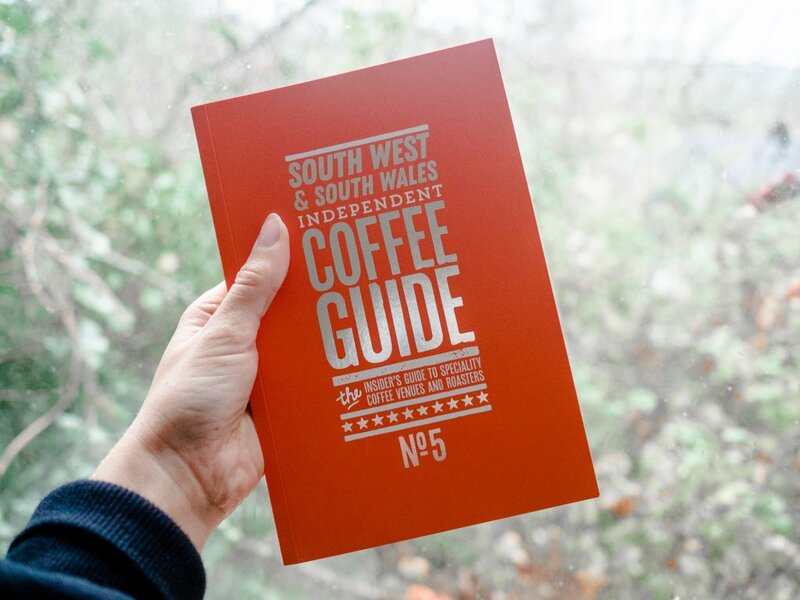 Specifically talking about indie coffee shops and blends in the South West of England, this would make the perfect ‘coffee’ table gift (get it??) for your coffee-crazy pals. 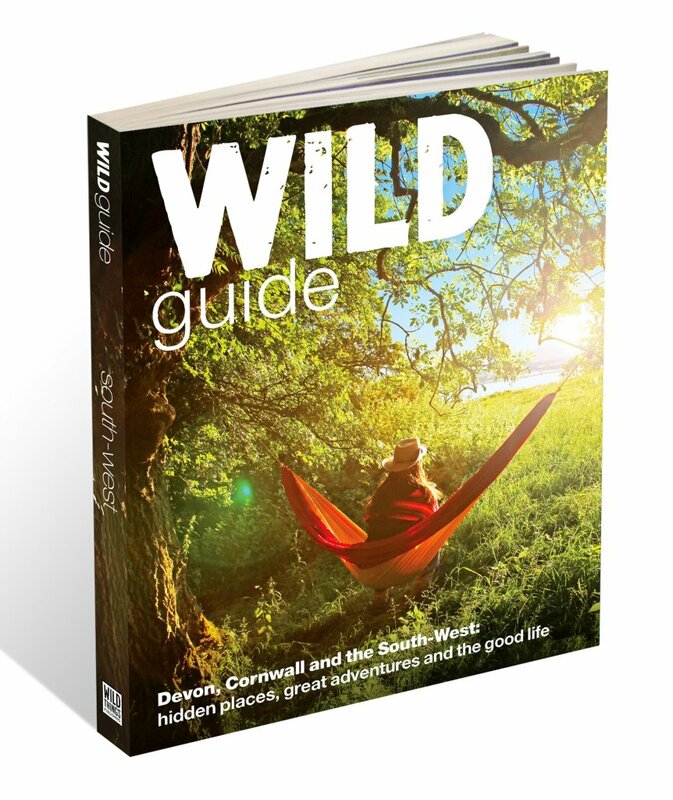 This book is absolutely fantastic for anyone who is obsessed with the outdoors and loves things like wild camping, secret coves, sea swimming and finding hidden spots for campfires and bbqs. Such a great reference book that is a guaranteed hit! 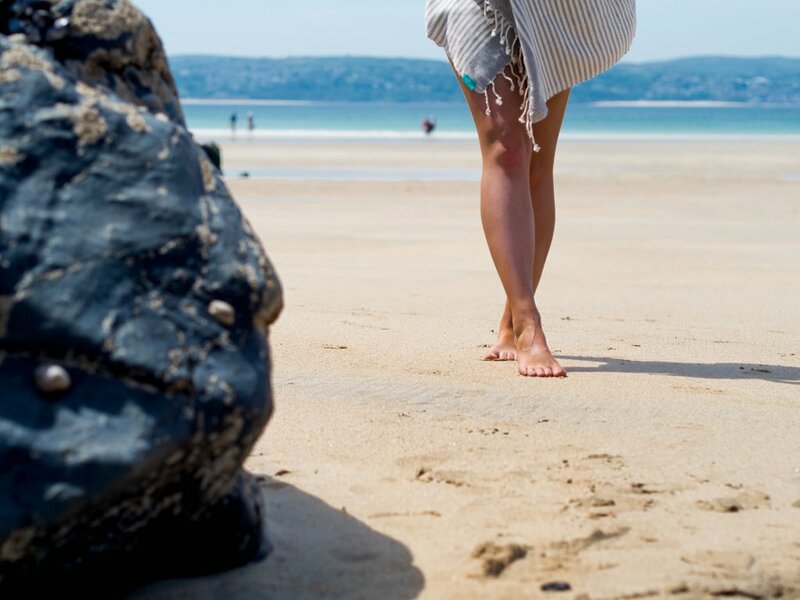 I’ve been on a couple of amazing day retreats this year, including Anon Design’s ‘Yoga & Calligraphy’ mindfulness retreat, and Ignite Life’s coaching & relaxation retreat, but there are many more Cornwall-based retreats out there just waiting to be found. I think finding a unique retreat that suits your loved one can be such a thoughtful gift, especially if you know anyone going through a stressful time or who could use a day or two to focus on just themselves and self reflection. The best spa experience I have had so far is hands down at The Scarlet Hotel in Newquay. Yes, they can be a little pricey, but it’s 100% worth it thanks to the hotel’s truly luxurious facilities and attention to detail. 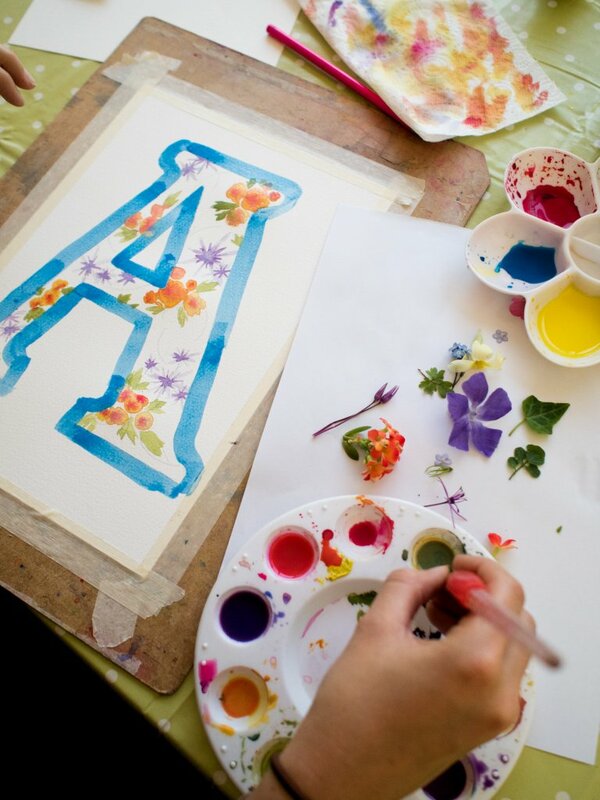 This would make a seriously special gift for someone close! 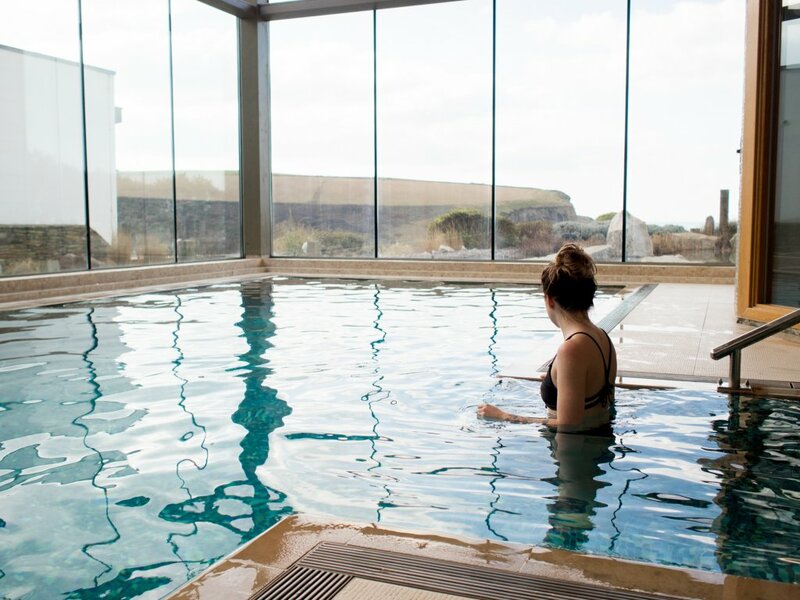 Slightly more affordable but still unique and special would be the Bedruthan Hotel Spa, which has a sensory outdoor spa garden experience that is really original. Alex and I have been very fortunate to have eaten at some of Cornwall’s best restaurants over the last 12 months, and I think giving a gift voucher to a really nice restaurant is a great gift for foodie friends who might hold back to treating themselves to something a bit different. Some of our top picks include Kota in Porthleven and Bustopher Jones in Truro, however I’d highly recommend the Gurnard’s Head near Zennor too! My dad got me a voucher to eat here as a gift once and Olivia and I had the most delicious lunch with fantastic service. 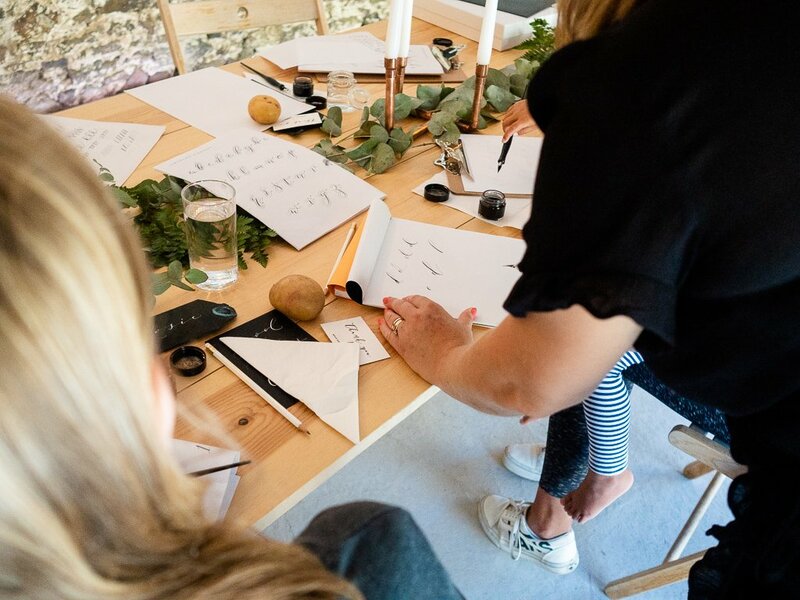 Workshops make amazing experience gifts because they’re really personal and give people a great memory and often something tangible to walk away with afterwards too. I thoroughly enjoyed the soap-making workshop with Bloomtown recently, which was a gift from my dad for my birthday this year. I’d also recommend trying a watercolour workshop with Sarah Bell, and of course the amazing foraging workshops with Fat Hen (again, a present from my dad… he’s pretty good at giving gifts!) 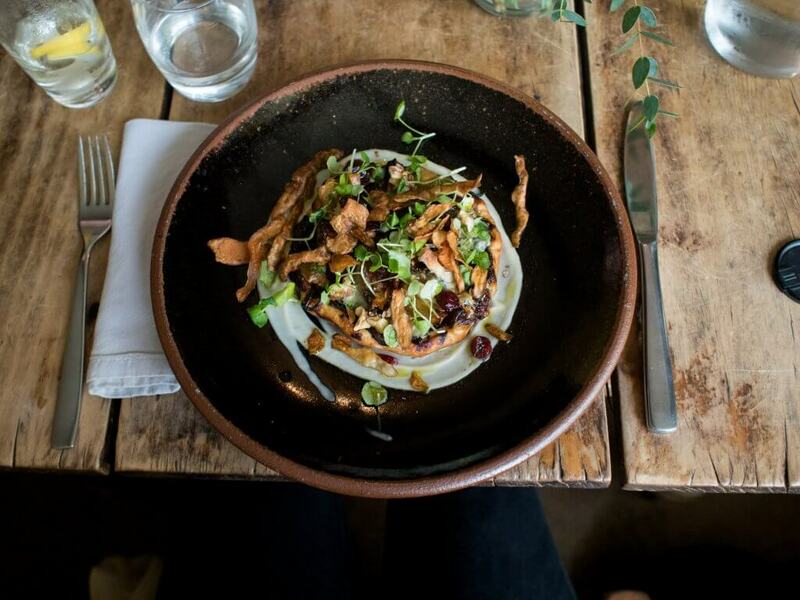 – highly recommended for foodies in Cornwall again! For the more adventurous people in your life, why not book them onto something more active and outdoors-y! 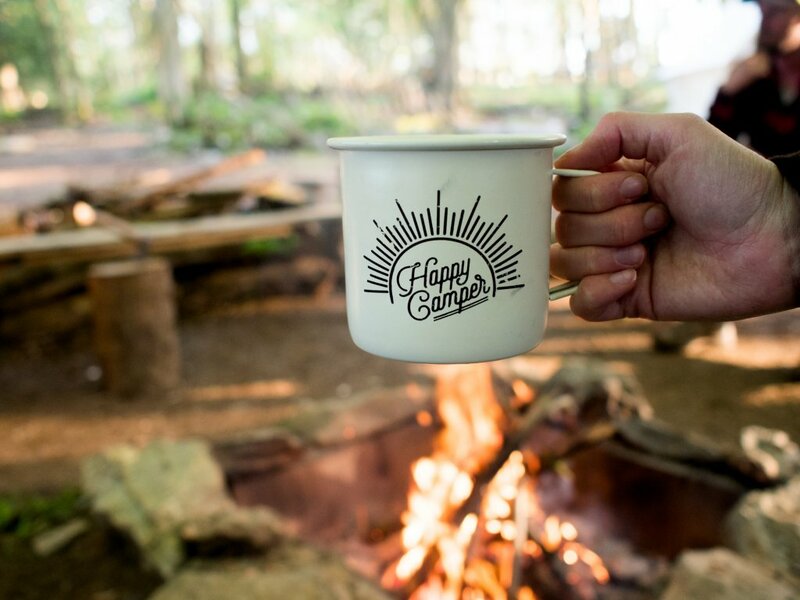 One of my favourite experiences this year was the Cornish Wave Adventure Weekend, where we spent a weekend learning to surf, trying coasteering, and wild camping in a beautiful hand-made campsite. This would make an incredible, memorable gift! You could book an afternoon kayaking tour of the beautiful Helford river and all its hidden creeks with Koru Kayaking, or even give someone a flying lesson at FlyNQY where they get to literally fly an aeroplane for the morning!! I gave this gift to my dad for his 5oth (that makes me an equally awesome gift giver, right?) and it was an amazing experience – my sister and I even got to ride in the back! Not on the list yet? It’s not too late to be added to this Cornwall gift ideas resource! Get in touch with me at contact@thecornishlife.co.uk if you’d like to be featured. Even if there’s not time for 2018, it would be great to hear from you about being featured in next year’s Christmas gift guide too! * Indicates affiliate link, but I am only recommending items here that I have personally used and loved!